He’s the most hated stallion in all of the Brony fandom. Mostly because everyone’s favorite adorkable bookworm inexplicably developed a crush on him immediately after meeting him. 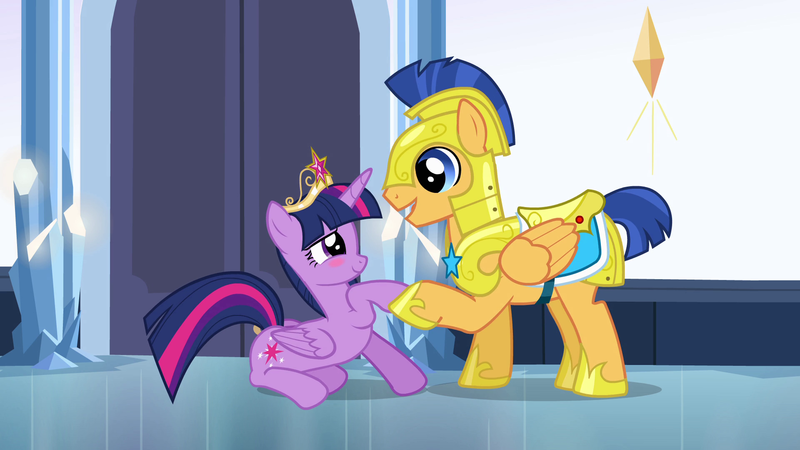 Flash Sentry actually comes as a pair: A pegasus guard in The Crystal Empire (for some reason, the only guard there who wasn’t a crystal pony), and a bishonen jock at Canterlot High in the Equestria Girls series. A lot of fans were opposed to the crush angle. Lauren Faust, the creator and God Empress of the My Little Pony fandom, said before that it would derail storylines and point of MLP if the Manes had boyfriends. But the Flash Sentry crush never went outside the Equestia Girls movies and although Twilight saw Equestria’s version of Flash briefly in “Three’s a Crowd,” she didn’t even give him a second glance. The Canterlot High version, that old hound, seems to have written off Twilight and gone back to Sunset Shimmer during Legend of Everfree. What do they see in him? Beats me, but Sunset Shimmer is now the second waifu that Flash is snatching away. Next Why does Vince McMahon hate beards?